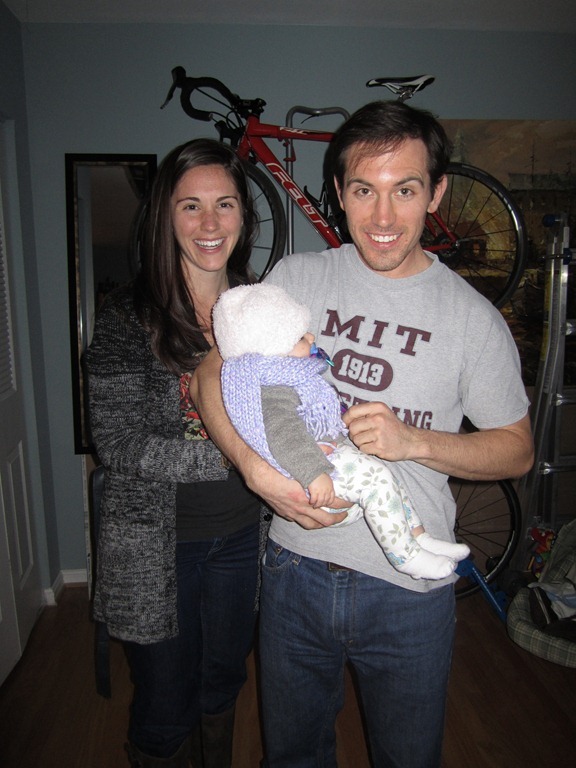 This Sunday, Jack’s sister, Amber came up from North Carolina to visit and we got to meet her boyfriend Joaquin and their 4 month old baby girl Liliarose! 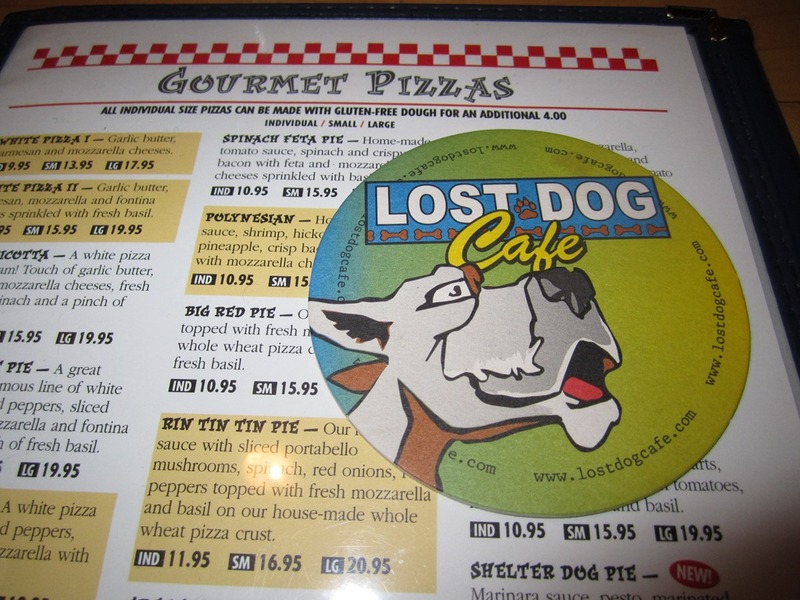 We decided to catch up over some delicious pizzas and beers at Lost Dog Café on Columbia Pike. While waiting for the pizzas I had the Bourbon Barrel Stout (Clay Street Series) by Bluegrass Brewing Company of Louisville, Kentucky at 8.6% abv. This beer seemed to get better and better as I drank it! Roasted malts, hints of chocolate and coffee, very flavorful oak and char. Vanilla and woody. The woodiness and oak flavor was amazing. 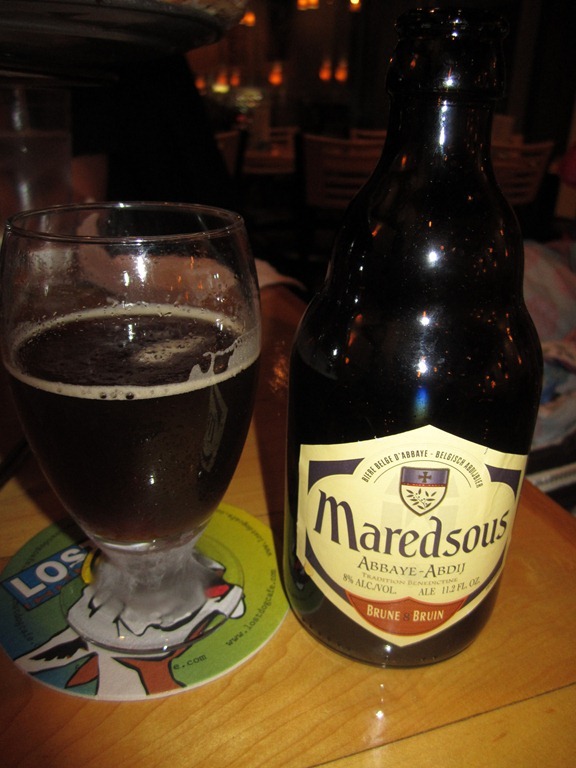 When the pizzas came I also ordered a Maredsous 8 by Brouwerij Duvel Moortgat of Belgium at 8% abv. This beer is stellar! Always a solid choice. It gets better as it warms slightly. Fruity, almost like grapes, plums, and dark fruits. Bready and yeasty, brown sugar and molasses. A great sipping beer, very complex. After dinner we headed home for another drink! I had the perfect beer in mind, and I knew Amber would enjoy and appreciate it, so I figured it was the perfect time to open it! We all split the Southern Tier Crème Brulee Stout by Southern Tier Brewery of Lakewood, NY at 9.6% abv. So delicious! And so sweet! I can never drink very much of this beer because I find it overwhelming! Caramel and butterscotch up front, vanilla, hints of chocolate, roasted malts, creamy. Very thick mouthfeel, almost chewy, smooth texture. Probably one of the sweetest beers I have had, its gotta be split with at least one other person, or else I would have a very hard time finishing the bottle on my own. I’m super happy we finally got a chance to catch up with Amber and meet Joaquin and Liliarose! I can’t wait till they come visit again! 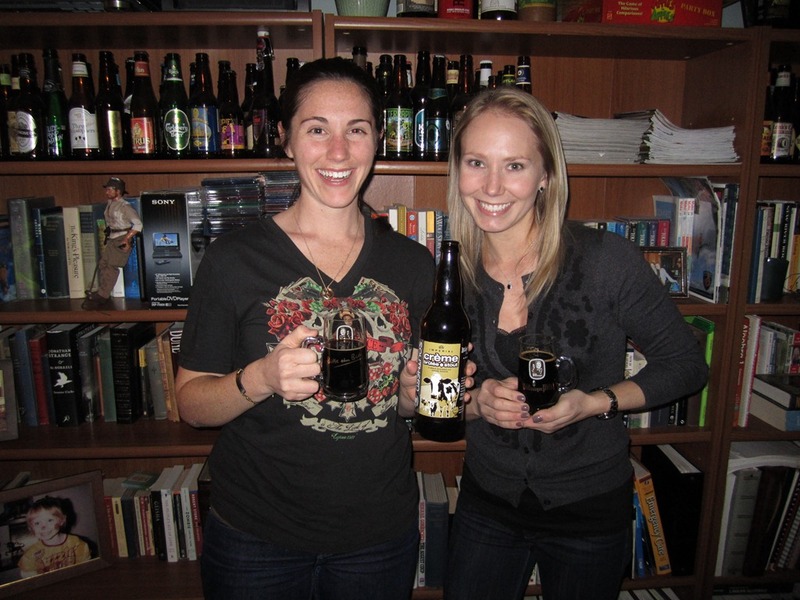 This entry was posted in Beer and tagged Bourbon Barrel Stout, Maredsous 8, Southern Tier Creme Brulee Stout. Bookmark the permalink. We had a classy and hopefully next I can drink a bit more!! I have told done people who are beer lovers about your blog and I’m so excited to keep up with it. For your other readers…the creme brulee…hold on to your hat because its going to blow you’re mouth up with. I can handle my sweets and this one just makes me feel like I had the prefect dessert. No question that this is a great beer in moderation. I think out would pair nicely with a light angel food cake or some vanilla pound cake. Any ways, love you guys and we will plan another trip on a couple months so we.can see the bathroom!